Where? 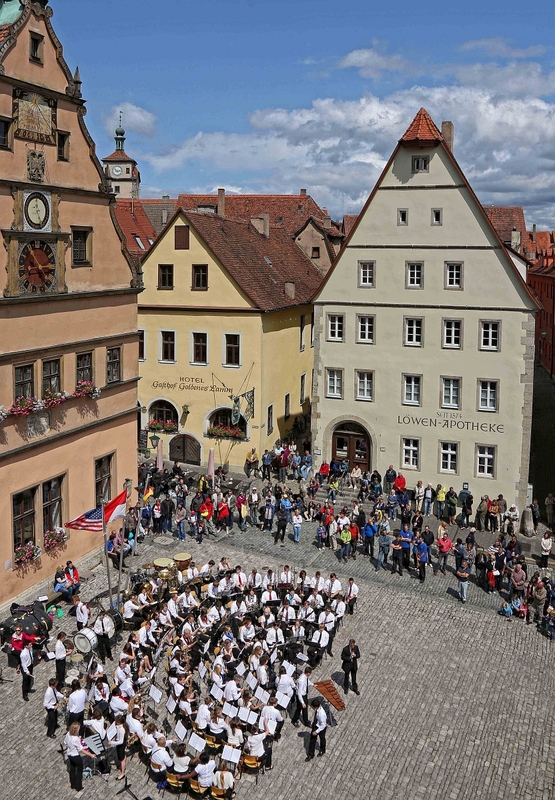 The Ambassadors of Music play a concert at the Marktplatz, Rothenburg ob der Tauber. The choirs follow after in Rothenburg’s churches. What? 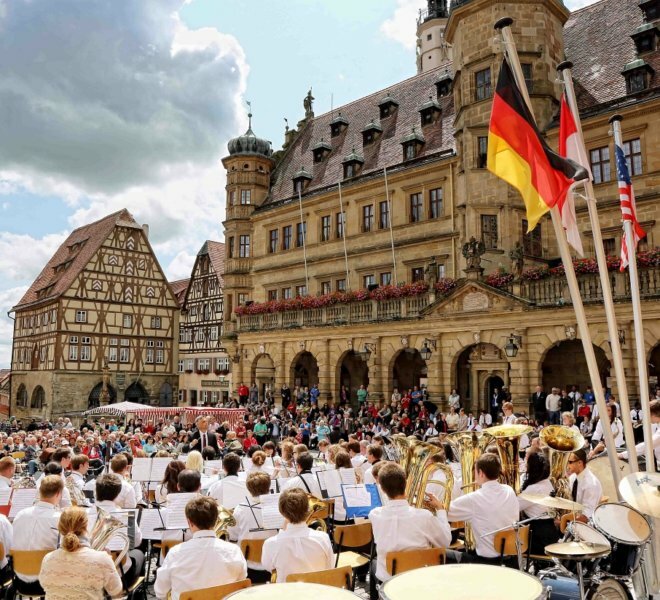 The celebrated American high school orchestra is touring Europe and stopping in Rothenburg ob der Tauber. Their one-hour concert includes popular classical pieces, as well as melodies from Hollywood blockbusters. The school children come from all over the USA and are each the winner of their state. Traditionally, the final stop is Rothenburg ob der Tauber. 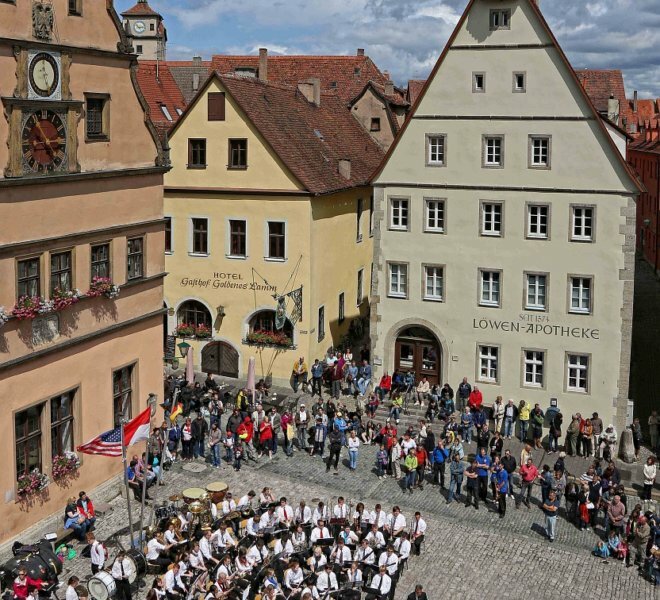 Fun fact: The Ambassadors of Music have been coming to Rothenburg ob der Tauber for 48 years. 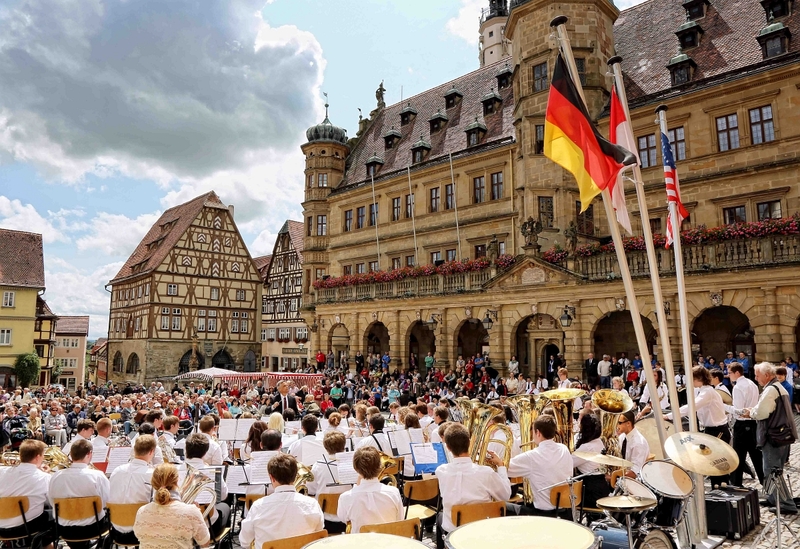 Be sure not to miss: The clearest view of the orchestra is naturally found at the Marktplatz. 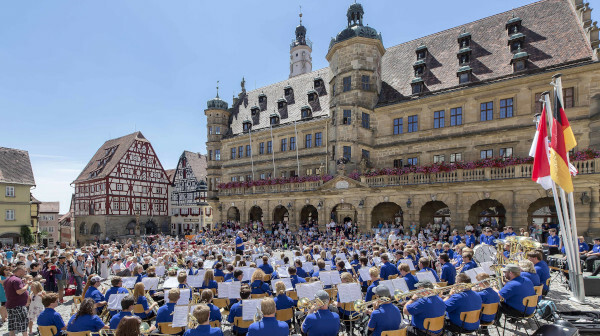 However, the choirs that often perform in the evening at the Franziskanerkirche and the Heilig-Geist-Kirche in Rothenburg ob der Tauber, are worth seeing too.